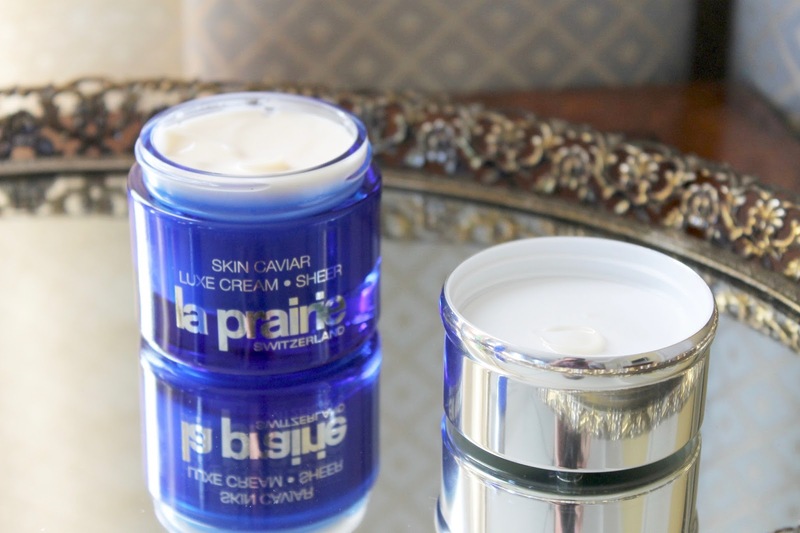 La Prairie Skin Caviar Luxe Cream Sheer and La Prairie Skin Caviar Essence-In-Lotion. La Prairie Skin Caviar Luxe Cream Sheer is a lightweight, velvety cream that feels like butter when applied to the skin; it's packed with a potent concentration of caviar extract and the brand's exclusive cellular complex designed to re-contour and life the skin. 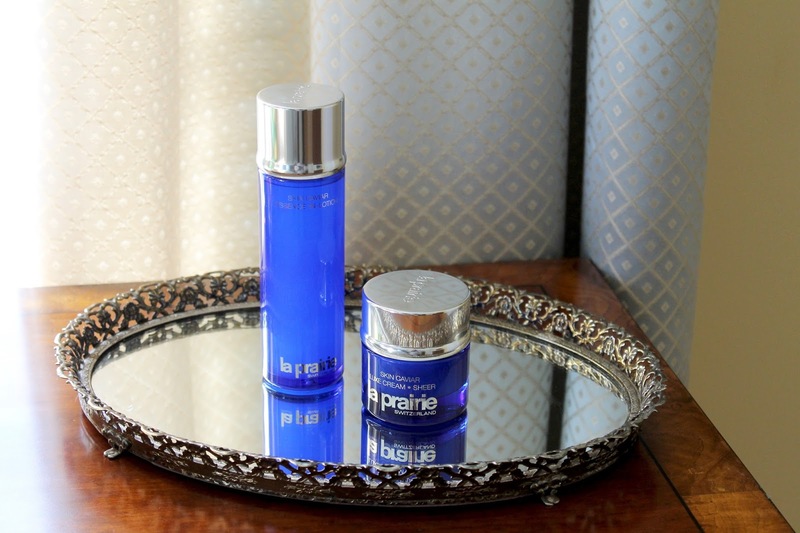 My skin gets on extremely well with La Prairie's products, and they all tend to absorb on contact, yet completely reinvigorate and renew my skin. This is no different, but it provides seriously intense hydration that never creates a greasy skin; only one that is completely rebalanced and comforted. Using this cream for two weeks has helped to refine my skin texture, brighten, eliminate fine lines and wrinkles, and plump my skin. I think I've reached skincare nirvana here. 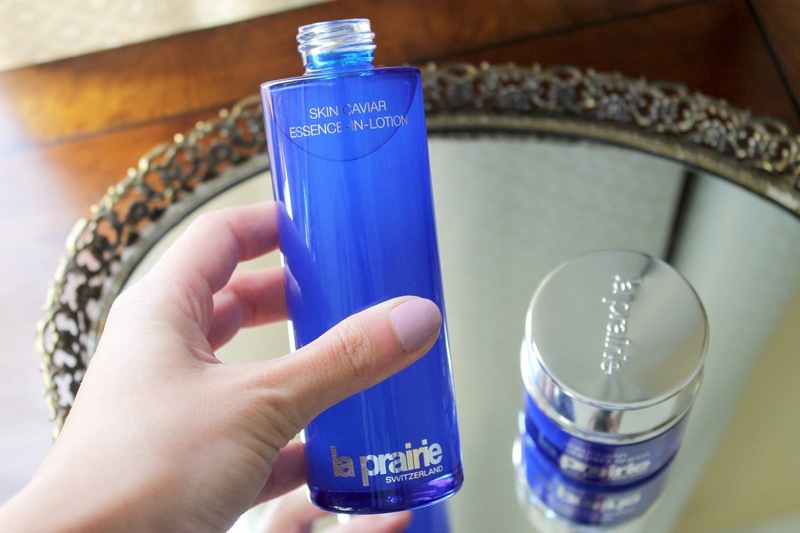 La Prairie Skin Caviar Essence-In-Lotion is an essence containing a concentrated infusion of caviar extract. By now you all know what an essence is; it helps to prepare the skin to receive following treatments, and hydrates and brightens the skin in its wake. 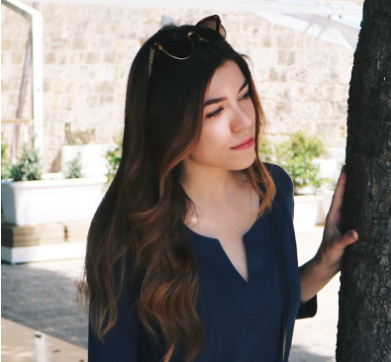 This particular formula helps to hydrate and condition the skin, leaving no sticky or tacky film whatsoever (which is an issue I tend to have with essences), it sinks into the skin immediately. Not only does it moisturize the skin, but also helps to refine the skin's texture and minimize the appearance of pores. This is one hard-working essence, so much so, that when I use it I find I can skip right ahead to my moisturizer and I'm left with a glowing, soft skin that's ready for the day. If you invest in any new fall skincare, make it these two.